Crankcase PCV Valve for 2002-2006 R50,R53 MINI Cooper S and 2005-2008 R52 MINI Convertible. 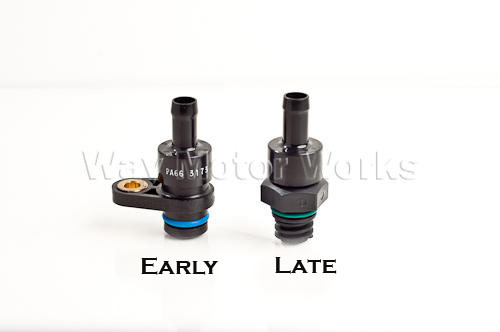 Over time these valves get plugged up, or start to rattle and can cause various engine running problems or fuel mileage loss. Sold as one individual valve. Easiest way to tell which you need is look at your valve cover and see if there is an 8mm screw holding it in, if there is it is the early version. The late version has no screw holding it.